Coordinating with the lead architect, CRJA-IBI Group developed site design documents associated with the new Student Life and Performance Center building comprising institution-related residence halls, performing arts venues, dining facilities and recording studios at the New England Conservatory in Boston. CRJA-IBI Group’s design process focused on activating the public way in this truly urban campus, creating a unique and identifiable character for the Conservatory. 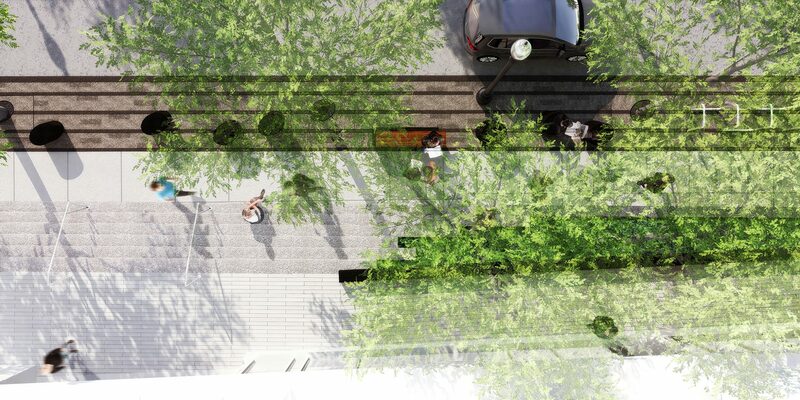 The design includes improved connections to existing and new building entrances and intimate gathering spaces that take full advantage of the campus streetscape as an open-space amenity. Stepped seating creates an amphitheater space that will benefit both students and the community. 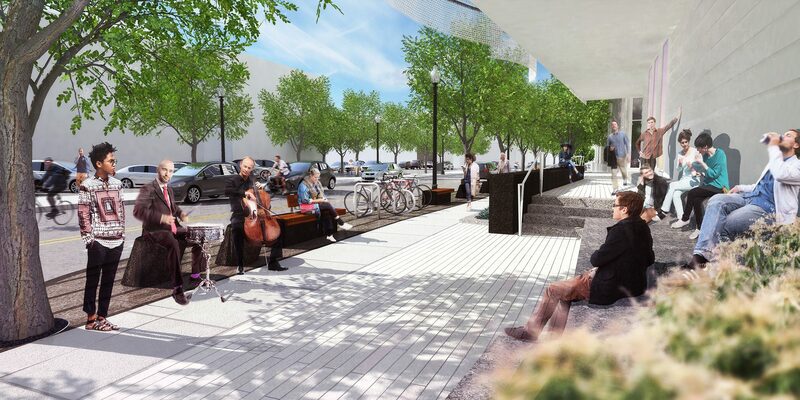 In parallel with this project, CRJA-IBI Group is also working directly for the New England Conservatory and the City of Boston to design a new pedestrian focused streetscape for the two streets that serve the School’s campus. The streetscapes will improve and expand the public and campus realm in proximity to the institution’s existing and proposed buildings, utilizing Boston’s Complete Streets principles to create a more pedestrian-friendly environment. This initiative aims to improve the quality of life by creating streets that are both great public spaces and sustainable transportation networks. To create a truly shared environment, this approach places pedestrians, bicyclists, and transit users on equal footing with motor-vehicle drivers. The CRJA-IBI Group design team achieved this by removing street parking; narrowing travel lanes; providing amenities for cyclists; allocating more space for pedestrians with new gathering spaces, and in parts raising the street to sidewalk level. This created a “shared street” condition that also serves as a campus plaza at the entrance of NEC’s Jordon Hall. 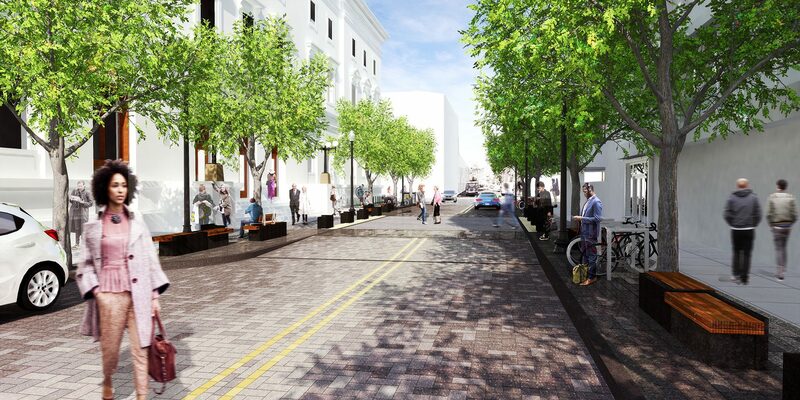 The new streetscape designs are inspired by analogue and digital musical themes and will be comprised of custom site furniture, street trees, new paved pedestrian and bicycle focused streets and sidewalks, with enhanced intersections and crosswalks.